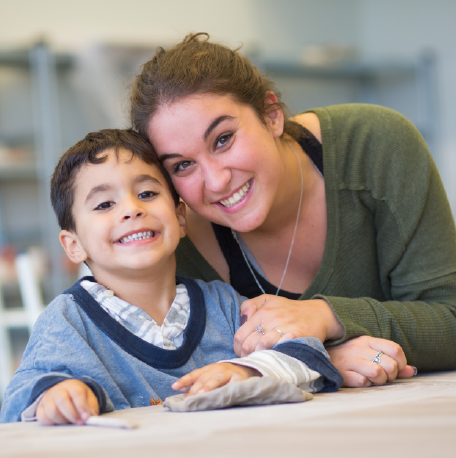 The mission of the Schwartz/Reisman Daycare and Preschool is to provide a safe, child centered, Jewish environment where each child will explore their world through discovery of self, community and the environment. Our goal is to deliver an education that provides continuous growth in the social, emotional, cognitive, physical and creative areas of development. As a jewish school we approach all of our work through jewish values, lenses and culture which follow the JCC Association Sheva Learning Framework. Teachers work collaboratively to create environments and experiences that spark wonder and creativity, build confidence and skills, allow children to explore materials, and encourage a questioning mind. We are committed to collaborating with children, their families and with each other as educators to create high quality early learning and care environments that take a strength based approach to learning and development in which children, parents and educators are co-learners. 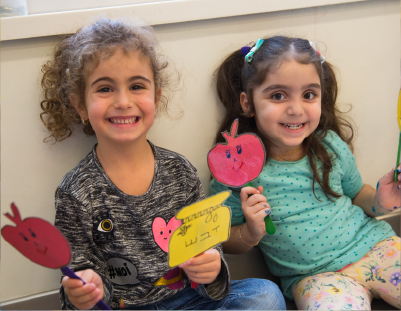 Starting at an early age we ensure that the children begin to enjoy their Jewish identity through the celebration of holidays and traditions through songs, crafts, dancing, storytelling and eating traditional holiday foods. Celebrating Jewish traditions and values enriches the Jewish experience for each child. A favourite experience of the children is baking fresh challah and participating in a Shabbat celebrations. The Schwartz/Reisman Centre Daycare & Preschool is a Sheva Learning Community supported by the Jewish Community Centre Association. It is influenced by multiple early education philosophies and latest research of children’s learning, brain development and the understanding of 21st century families. Each of the seven core elements are foundational concepts that schools of excellence will use to create a professional learning community. We believe that a quality daycare is achieved through inspirational and experienced faculty members. Our endeavor is to provide the finest early childhood education possible. Each teacher has been carefully selected and oriented to our school’s values, philosophy and community. We actively recruit and retain teachers who are Registered Early Childhood Educators and professionals, whose life work is dedicated to children and education. They are passionate about their work and delve into learning alongside children and families. They view themselves as partners in your child’s development and your family’s growth. 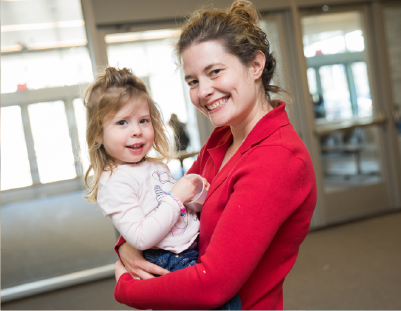 At the Schwartz/Reisman Centre Daycare and Preschool our faculty and staff are committed to excellence. We are all devoted to open and direct communications with parents/guardians. 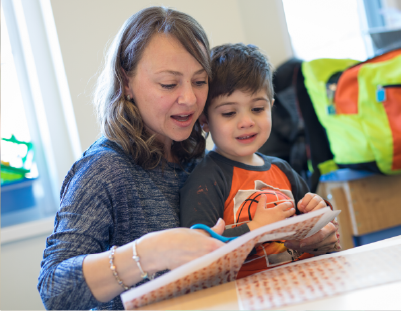 Within a solid and dynamic education built on a foundation of Judaism, enrollment in our Daycare and Preschool program means that your entire family has the opportunity to become a part of the JCC Family. This elevates an important and memorable experience for your child, into something for you as well. The JCC delivers the full community experience that uses education, art, sports and activities to bring the Jewish community together. When your child begins in our daycare or preschool parents and siblings will be able to enjoy our fitness centre, classes, art programs, family events and much more! Part of our vision is to help your family make meaningful relationships that will last a lifetime.